BRYC Post #8 of the American Legion was officially organized on Friday, July 11, 1919, at Nezperce, Idaho. There were 21 veterans of World War I signing the original papers with fifteen of them being veterans of overseas campaigns with the American Expeditionary Force under General J. (Black Jack) Pershing. BRYC Post was named for the four local men killed in action in that war in Europe. The first letter of the last name of each man was used as follows: B for William Booth; R for Carrol Rowe; Y for Basil Yates; C for Cecil Cox, resulting in BRYC Post of the American Legion. The men for whom BRYC Post #8 was named were all local men, among the first group of soldiers to go overseas with the A.E.F. Regiment of the famed 91st Division. He was wounded in the American advance north of Verdun near Gesnes, France on September 30, 1918. Before he could be taken to an aid station he was hit again by shrapnel and died on the battlefield. He was buried with other American troops near Gesnes, France. Carrol Rowe was a member of Company E of the 3nd Engineers, 91st Division, which unit saw extensive combat on the Western Front. He was fatally wounded on October 8, 1918 while advancing with American troops in the Meuse Argonne offensive in France. He died the following day from the wounds he received. Basil Yates was also a member of the famed 91st Division, which fought with tenacity and valor on the Western Front. He was wounded on October 8, 1918, during the Meuse-Argonne offensive and died the same day of his wounds. Cecil Cox also a member of Company E of the 2nd Engineers of the 91st Division was killed in action on June 7, 1918, during the American advance at Chateau Thierry in France. He was among the first American troops to go into action with a unit that compiled an outstanding combat record during that war. All four of these young men were from local families and were among the first American troops to go overseas during World War I. They made the supreme sacrifice in combat on the Western Front and BRYC Post #8 is honored to carry their memory down through the years in the name of our Legion Post. Some months ago it was said, “When our boys return from the war, they are going to run this country.” The statement is materializing in fact. Through their organization, The American Legion, the soldiers are really preparing to take charge of the situation. “If the hopes and expectations of the founders of the American Legion are fulfilled, that society will enlist in its membership a large majority of the men who wore the United States uniform in the Great War. An earnest effort is to be made to keep it free from sectionalism and party politics. What is the American Legion? It is the organization of American veterans of the World War. It is non-partisan and non-political. It is a civilian organization – not military or militaristic. It makes no distinction of rank and no distinction between overseas men and men who did not get overseas. Who is eligible? Any soldier, sailor or marine who served honorably between April 6, 1917 and November 11, 1918. Are women eligible? Yes, those who were regularly enlisted or commissioned in the army, navy or marine corps. When was the Legion started? What has been done in America regarding it? The action of the Paris meeting was confirmed and endorsed by a similar meeting held in St. Louis May 8 to 10, 1919 when the Legion was formally recognized by the troops who served in the United States. Are the organizations in France and America separate? No. The Paris meeting appointed an Executive Committee of 17 officers and men to represent the troops in France in the conduct of the Legion. The St. Louis meeting appointed a similar Committee of 17. These two executive committees have amalgamated and are now the operating body of the Legion. Who are the officers of this national governing body? Henry D. Lindsley, Texas, chairman; Bennett C. Clark, Missouri, vice-chairman; Eric Fisher Wood, Pennsylvania, secretary; Gasper Bacon, Massachusetts, treasurer. When will the final step in the organization of the Legion take place? Nov. 10, 11 (Armistice Day) and 12, at Minneapolis, Minn., when a great National Convention will be held. Why were those dates selected? To celebrate the completion of peace and because by that time practically all of the men of the A.E.F. will be at home and will have been able to participate in the election of their delegates to the Convention. It demanded of congress the same disability pay for men of the National Guard and National Army as now pertains to those in the Regular establishment. It initiated a campaign to secure to service men their right and privileges under the War Risk Insurance Act. It demanded that congress should deport to their own countries those aliens who refused to join the colors at the outbreak of the war and pleaded their citizenship in other countries to escape the draft. It undertook to see that disabled soldiers, sailors and marines should be brought into contact with the Rehabilitation Department of the Government, which department helps them to learn and gain lucrative occupations. It authorized the appointment of a competent legislative committee to see that the above recommendations were effectively acted upon by congress and that committee has been appointed and is now at work. It authorized the establishment of a bureau to aid service men to get re-employment; and of a legal bureau to help them get from the government their overdue pay and allotments. 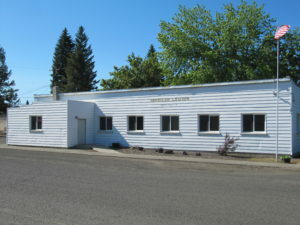 These two bureaus have organized at the National Headquarters of the Legion and will be in active operation after July 1. How does the Legion govern itself? The Constitution provides that the legislative body of the organization shall be a national convention to be held annually composed of delegates and alternates from each state, from the District of Columbia and from each territory and territorial possession of the United States. How is the Legion organized? It is composed of State Branches, and these in turn are made up of Local Posts. What is a Local Post? The Constitution states that a Local Post shall have a minimum membership of 15. No Post shall be received into the Legion until it has received a charter. A Post desiring a charter shall apply for it to the State Branch and the charter will be issued, upon recommendation of this State Branch by the National Executive Committee. No Post may be named after any living person. How can I join the American Legion? By enrolling with your Local Post.